The accompanying e-mail also referred to this page on the council website. 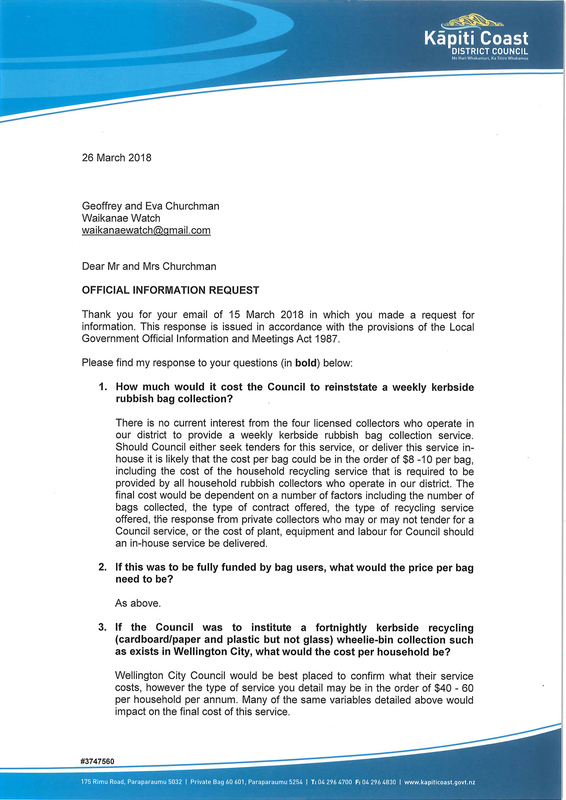 In this article on the Kapiti Independent News site a council officer states that people can take rubbish and recycling to one of the transfer stations on the Kapiti Coast. “Recycling is free to dispose of at our transfer stations, rubbish disposal ranges in cost. 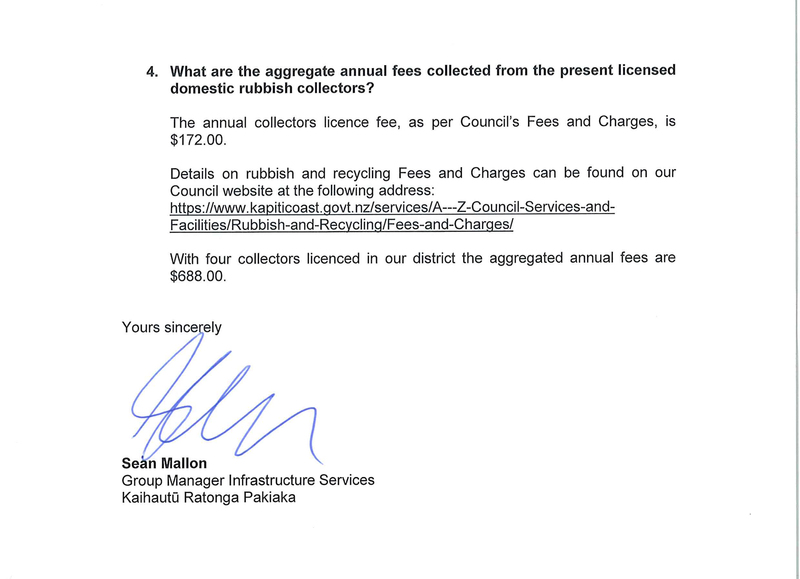 The council also likes to point out that there is now no rates component to cover rubbish collection. But haven’t rates continued to increase regardless — and very substantially? Like the Rowan+Dougherty water meters, the abandoning of rubbish collection was just a rates increase by stealth.